Tensions were mounting. Mo Farah, Kenenisa Bekele, Simon Messenger and Haile Gebrselassie were doing their final stretches at the start of the 33rd Great North Run. That’s right. Haile is the only runner over 40. My preparations for this race were somewhat stifled by an unexpected allergy to physio tape a month earlier. It sounds fairly lame but it was actually quite impressive. 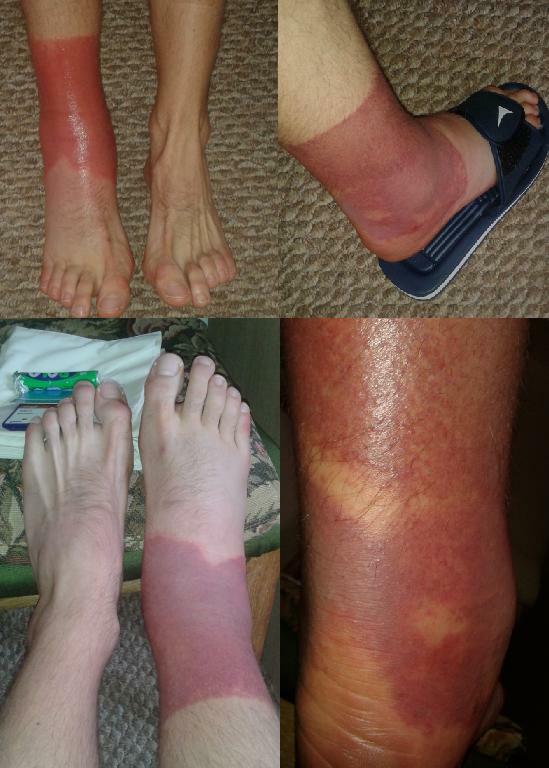 It was certainly impressive enough for a GP to freak out by going ‘oh WOW’ when I took my sock off and scaring me senseless by saying it could be a bone infection (see below). Anyway, a few weeks later and my case of elephantism had gone (actually, for the bored medic, it was acute dermititis combined with a sprained ankle). As the race day approached, the weather forecasts got increasingly cataclysmic with severe rain forecasted for all day. In actual fact, despite all the scare-mongering, the weather was relatively clement (by British autumnal standards). By the time the gun went, almost 56,000 runners (although only 41,000 finished) lined kilometres of motorway tarmac and made an impressive sight! 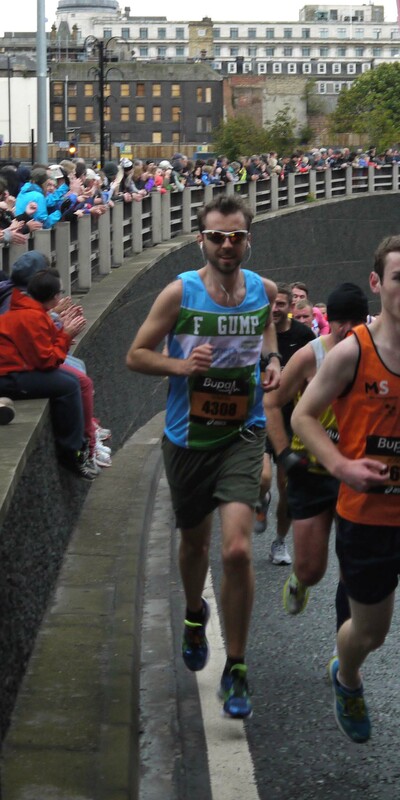 The race itself is not hugely exciting with only one major landmark (the Tyne Bridge) crossed. 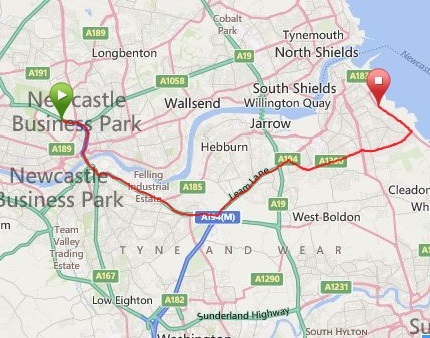 The rest of the race is spent running along the motorway or other major roads out to South Shields. This makes sense as there wouldn’t be any other roads big enough to ship that number of people out of town in one go. The enthusiastic (and rain-sodden) crowd along almost the entirety of the 21km, despite the poor weather, certainly made up for the mundaneness of some of the course. 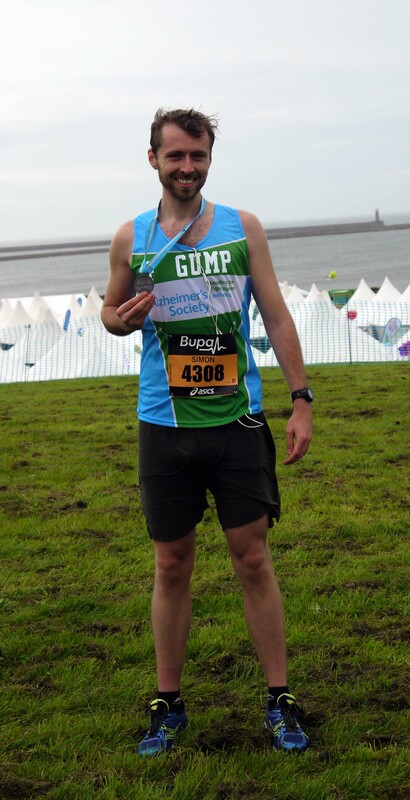 Quite a few people noticed the t-shirt I was wearing for Alzheimer’s and shouted ‘Run, Forrest, Run!’ which was cool! In the end, I (just) got another PB which is always a good achievement, even if I felt I could have gone a little faster. For now, time for a bit of rest before the next stage in …. Madagascar!